With TensorFlow 1.1, Keras is now at tf.contrib.keras. With TensorFlow 1.3, it should be at tf.keras. This is great for making new models, but we also get the pre-trained models of keras.applications (also seen elsewhere). It's so easy to classify images! This will automatically download trained weights for a model based on Deep Residual Learning for Image Recognition. 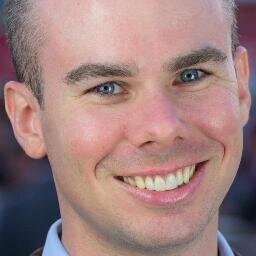 The weights are cached below your home directory, in ~/.keras/models/. Convenient image tools are also included. 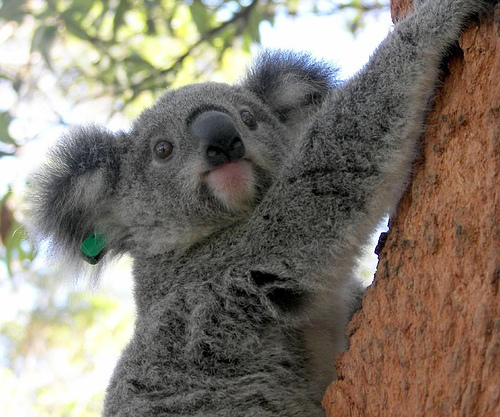 Let's use an image of a koala from the imagen ImageNet subset. This model can take input images that are 224 pixels on a side, so we have to make our image that size. We're just doing it by squishing, in this case. We'll make that into an array that the model can take as input. Now we can classify the image! We have one thousand probabilities, one for each class the model knows about. To interpret the result, we can use another helpful function. Great success! The model is highly confident that it's looking at a koala. Not bad. It's pretty fun that this kind of super-easy access to quite good pre-trained models is now available all within the TensorFlow package. Just pip install and go! The thousand ImageNet categories this model knows about include some things that are commonly associated with people, but not a "person" class. Still, just for fun, what will ResNet50 say about me? I guess I'll take it? The model may have been trained on the very koala picture we're testing it with. I'm okay with that. Feel free to test your own koala pictures! Keras in TensorFlow also contains vgg16, vgg19, inception_v3, and xception models as well, along the same lines as resnet50.